Washington Vape Insurance. Vaping - smoking e-cigarettes - has become one of the biggest trends across the country in recent years. Due to the rise in popularity of vaping, many entrepreneurs are finding incredible success by opening up vape shops. These shops provide all of the products and accessories that are needed for vaping, including various types of electronic cigarettes and an array of liquids that are infused with nicotine (often referred to as e-liquid or e-juice), batteries, filters, and some even sell traditional cigars, cigarettes, and other tobacco-related products. However, despite the popularity of vaping and how wildly successful operating a vape shop can be, there are certain risks that are associated with running this type of business. If you are thinking about jumping on the vape shop bandwagon, you need to make sure that you are well-protected. 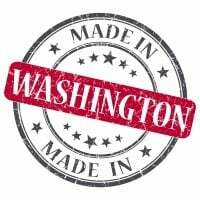 Washington vape insurance can offer you the protection that is needed for most legal claims and liabilities that you could be held at fault for. Washington vape insurance (e-cigarette insurance) protects your company from lawsuits with rates as low as $77/mo. Get a fast quote and your certificate of insurance now. While stores that sell tobacco products, including cigars and cigarettes, are legally protected by tobacco companies, vape shops are different. Since e-cigarettes, liquids, and the other products that are used for vaping aren't tobacco-based, WA vape shops are not offered the same protection as stores that offer cigars and cigarettes. 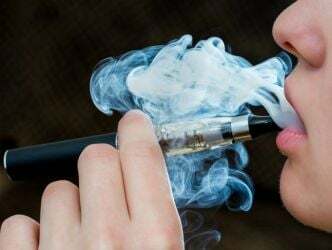 And though e-cigarettes and vape products are certainly popular, they are still relatively new, which means that the companies that manufacture these products aren't well-established and as such, they don't have the necessary resources to protect vape shops from legal problems. In other words, those who operate vape shops are legally responsible for the products that they sell. Should any problems with those products arise, store owners could be looking at serious financial troubles. For this reason, it is important for WA vape shop owners to purchase a specialized Washington vape insurance policy. A customer comes to your store when they want to buy e-cigarette cartridges, batteries, PVs, e-juice or other types of vape products. What happens if a customer slips and falls and gets hurt when they are in your shop? Or what if one of the vape products you sell causes bodily injury or property damage? If you don't have the right Washington vape insurance, it could cost you thousands of dollars or more in legal fees and expenses that have the potential to put you out of business. Someone files a lawsuit against a WA vape shop, claiming that a health condition is related to the use of a vape product. In any of these instances, WA vape insurance would provide the financial coverage that is needed to protect a vape shop and the owner of the establishment. Request a free Washington Vape insurance quote in Aberdeen, Anacortes, Arlington, Auburn, Bainbridge Island, Battle Ground, Bellevue, Bellingham, Bonney Lake, Bothell, Bremerton, Burien, Burlington, Camas, Centralia, Chehalis, Cheney, Clarkston, College Place, Covington, Des Moines, DuPont, East Wenatchee, Edgewood, Edmonds, Ellensburg, Enumclaw, Ephrata, Everett, Federal Way, Ferndale, Fife, Gig Harbor, Grandview, Hoquiam, Issaquah, Kelso, Kenmore, Kennewick, Kent, Kirkland, Lacey, Lake Forest Park, Lake Stevens, Lakewood, Liberty Lake, Longview, Lynden, Lynnwood, Maple Valley, Marysville, Mercer Island, Mill Creek, Monroe, Moses Lake, Mount Vernon, Mountlake Terrace, Mukilteo, Newcastle, Oak Harbor, Olympia, Othello, Pasco, Port Angeles, Port Orchard, Port Townsend, Poulsbo, Pullman, Puyallup, Redmond, Renton, Richland, Sammamish, SeaTac, Seattle, Sedro-Woolley, Selah, Shelton, Shoreline, Snohomish, Snoqualmie, Spokane Valley, Spokane, Sumner, Sunnyside, Tacoma, Toppenish, Tukwila, Tumwater, University Place, Vancouver, Walla Walla, Washougal, Wenatchee, West Richland, Woodinville, Yakima and all other cities in WA - The Evergreen State.